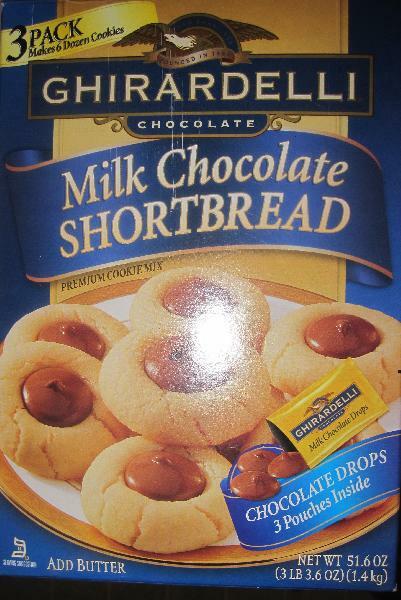 This recipe is located on the side of the box of the Ghiradelli Milk Chocolate Shortbread. It is very easy to make - no mixer required! In a medium bowl, place the cookie mix, melted butter, peanut butter, and egg yolk. Stir until smooth and the dough forms. Roll the dough into balls. Roll the balls in sugar. Place the balls 2 inches apart on an ungreased cookie sheet. Bake for 12-14 minutes or until medium golden brown around the edges. 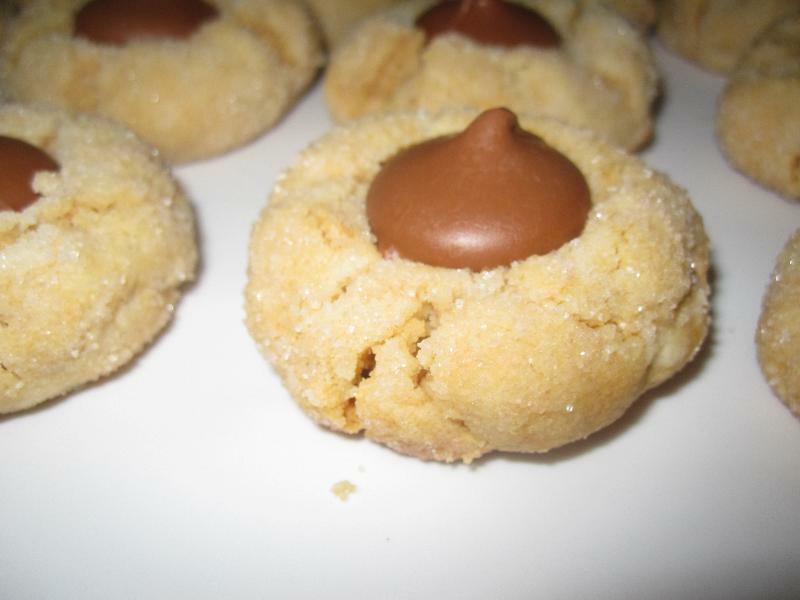 Remove from the oven and immediately press a chocolate drop into each cookie.